Manchester United, winner of the Young Boys of Bern (1-0) in the Champions League last November 27, is in a bad luck in the league. José Mourinho’s players have just gleaned 2 points on the last three days of the championship. Indeed, the Mancunians lost to City (3-1) at Etihad Stadium in the Mancunian derby and shared points with Crystal Palace (0-0) at home and Southampton (2-2) this Saturday. The Red Devils, only 7th in the Premier League, are far from their ambitions and a place in the Big Four. The Gunners, 8 points ahead of their opponents of the day, achieve a season in every respect remarkable. Arsenal, 4th and a member of the Big Four, is 8 points behind Manchester City, leader, and one point behind Chelsea, 3rd. 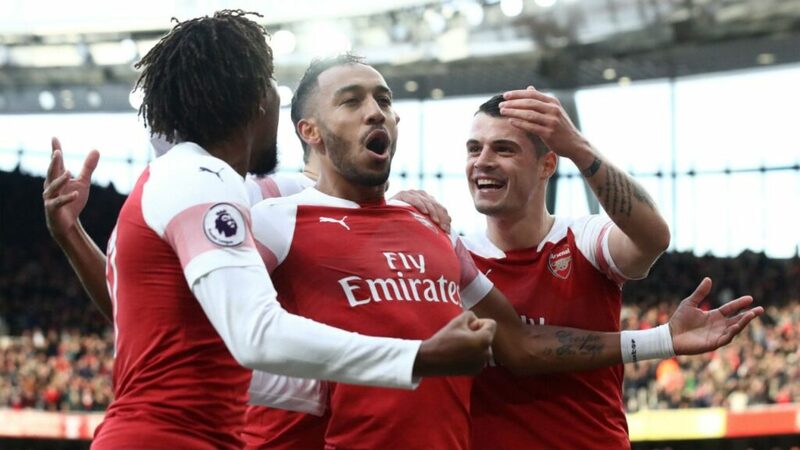 The teammates of Alexandre Lacazette (6 goals) have not lost for nearly four months in all competitions, and have just defeated Tottenham (4-2) on the last day of the championship thanks to a doubled Aubameyang . This is the third straight victory for Unai Emery’s colts after 2 previous away victories in Bournemouth (2-1) and Vorskla Poltava (3-0) in the Europa League. Unbeatable for many weeks, the Gunners could drop the Mancunians at Old Trafford. Arsenal are on a current series of 3 ranked wins, Premier League and Europa League together. The Gunners are unbeaten since August 18th. Arsenal has 19 undefeated games (15 wins and 4 draws) in all competitions. In 10 games at Old Trafford, Manchester United have totaled 3 draws and 3 losses for only 4 wins! In its last four outings, MU have only registered one success against Young Boys Bern (1-0). MU shows 3 games without a win (2 draws and 1 loss) in the league, current series. Arsenal, irresistible lately, is able to achieve a big performance on the field of MU. The odds are beautiful, we logically turn to the 2 for this meeting at the top of the Premier League.